Cancer specialist surgical oncologist Dr. Sameer Kaul. | Onkaulogy Kombine, cancer specialists, surgical oncologists, cancer care team. Dr. Kaul is one of the core founders, heading Onkaulogy Kombine. Currently, Dr. Sameer Kaul practices as a Sr. Consultant Surgical & Clinical Oncology at Apollo Cancer Institute, New Delhi where he has been an integral part since 1997. He also acts as the Director, Surgical Oncology at the Centenary Cancer Centre since 2011, an advisor at many other reputed cancer centres, not only in India but overseas too. 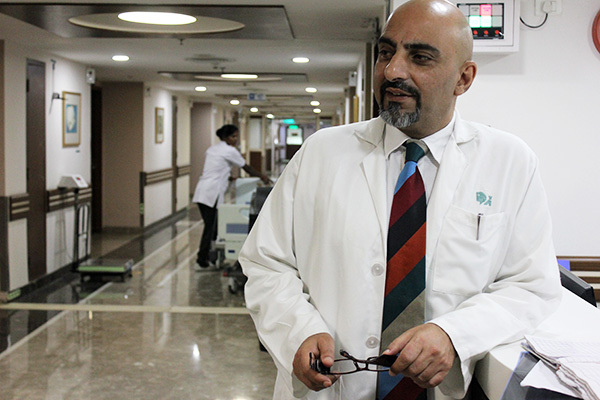 Dr. Sameer Kaul was brought up in Srinagar, Kashmir where he studied at the Burn Hall School. His basic degree in medicine was acquired at the Govt. Medical College, Srinagar In 1978. Soon work at the Tata Memorial Hospital, Mumbai lead to a Master degree in Surgical Oncology. Having acquired varied surgical skills at Nanavati Hospital, Jaslok Hospital, KEM Hospital and Breach Candy Hospital in Mumbai, he left for London to work at the Royal Marsden Cancer Hospital. Dr.Kaul specialises in Breast cancer surgery and treatment but he his efficiency is reputed in almost every oncological surgery like Head and Neck Surgery, Gastrointestinal surgery, Soft Tissue and Bone surgery, Genitourinary as well as endoscopies and other miscellaneous procedures. He has countless accolades to his name. Dr. Kaul introduced the concept of Primary reconstruction for breast cancer in India and also initiated and popularized the use of ‘ports’ for cancer patients. He is credited for introducing and popularizing the use of latest technology of Radio frequency Ablation to treat liver, lung breast tumors in India. When it comes to social commitments, Dr. Kaul surpasses many. He is the Founder & President of the Breast Cancer Patients Benefit Foundation (BCPBF) in India and since over 10 years, he has been organizing regular cancer camps to bring early detection and treatment to patients who can’t reach out to hospitals. He is a national level spokesperson for global health issues like the Anti-Tobacco campaign and Breast Cancer Awareness. Many conferences, medical journals and studies stand by his name. Apollo Hospital is a 600 bedded corporate state-of-the-art multispeciality tertiary care centre catering to not only India, but other countries in the Indian sub continent. It is equipped with the latest technical Infrastructure and has perhaps the finest manpower this side of the world. Oncology is one of the busiest services existing and has an efficient hospital based tumour registry. I head an independent Surgical Oncology Unit aided by 2 senior consultants, 1 Associate Consultant, 2 post-graduate senior residents, 2 junior residents, oncology nurses and co-ordinators. Efficient coexistence with medical oncologists, haemato oncologists, and radiation oncologists ensures world class treatment, often in consultation with and endorsed by our colleagues at Memorial Sloane Kettering Cancer Centre, New York, M.D. Anderson Cancer Centre, Houston Texas and Royal Marsden Cancer Hospital, London. Our unit is a model of long distance treatment and learning (telemedicine) and maintains an unto date cancer registry. I am responsible for planning and initiating oncology services in this private hospital in Gurgaon. I am responsible for the entire planning of oncology services in this beautiful northern most state of India. Anti Smoking' and 'Anti Tobacco' Expert for American Cancer Society - Star Television, NDTV, D.D. Metro Channel & Zee Television. It was my responsibility to conduct outpatient services, operating schedules and care for a substantial inpatient's material with the help of other junior colleagues. Weekly case presentations, death courts, and research work were some of the activities worth mentioning. The job involved participation Incomprehensive management of head and neck cancers at a Senior Registrar (N.H.S.) level. I was exposed to a wide range of complex ablative and reconstructive procedures. Attendance and contribution to weekly case discussions, unit audits, and journal club meetings was mandatory. 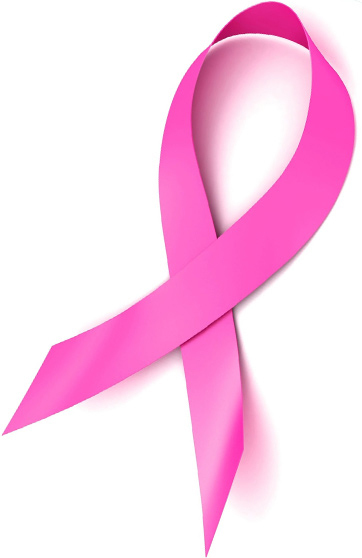 Apart from Insight into routine General Surgical work at a district general hospital level, I gained specific experience in the management of early breast cancer at the Regional Breast Screening Service and an active participation in Laparoscopic surgery. All above posts in India are recognised by the Medical Council of India as teaching posts for Higher Surgical Training (M.S. General Surgery). Experience afforded from these posts includes management of In-patients, out-patient work, cold & emergency operating and undergraduate teaching, all relevant to the appropriate specialty. Vth International Biennial conference of Indian Association of Cancer Chemotherapists, Bombay, India- February 1989. IVth International Workshop & Technology Transfer Programme of the Indian Society of Head & Neck Oncology, Bombay, India - December 1989. XVth International Cancer Congress (UICC), New Delhi, India - October 1994.
International Update on Gastrointestinal Malignancies, New Delhi, India - December 1997. Technology Transfer Programme (TTP) on Thyroid Diseases, New Delhi, India - April 1998. Kaul S., Amln M., Misgar M.S. Emergency Cholecystectomy for acute Cholecystitis. Indian Journal of Surgery - December 1983. Mehta S.A., Kaul S., Mehta M.S., Kelkar R.S., Mehta A.R. Phaehyphomycosis of Paranasal sinuses masquerading as a Neoplasm. To view Dr. Kaul's CV in PDF formats.